Electronics is an enjoyable hobby that can even be turned into a career at some stage. It can be enjoyed by people of all ages starting from about 12 years old. This hobby entails building circuits from electronic parts such as resistors, capacitors, transistors, diodes, integrated circuits (ICs), microcontrollers and other components. You will also learn to read schematic diagrams (circuit diagrams), use a soldering iron, take measurements with a multimeter and more. 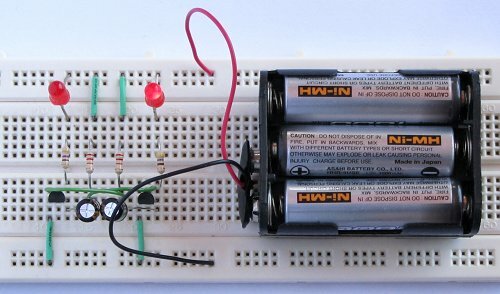 Circuits can be built on solderless electronic breadboards, stripboard and printed circuit boards (PCB). Electronic breadboards are one of the best tools to start learning electronics with, as electronic circuits can be built on them by plugging components into the board without the need to solder. Permanent circuits can be made by soldering components to stripboard or printed circuit boards. Printed circuit boards can be home-made, professionally manufactured or may be part of an electronic kit. With the availability of cheap microcontrollers, embedded programming is now also part of electronics. The Arduino open source hardware project is another great tool for the electronic hobbyist. It provides an easily obtainable microcontroller board and programming environment ideal for learning about microcontrollers.